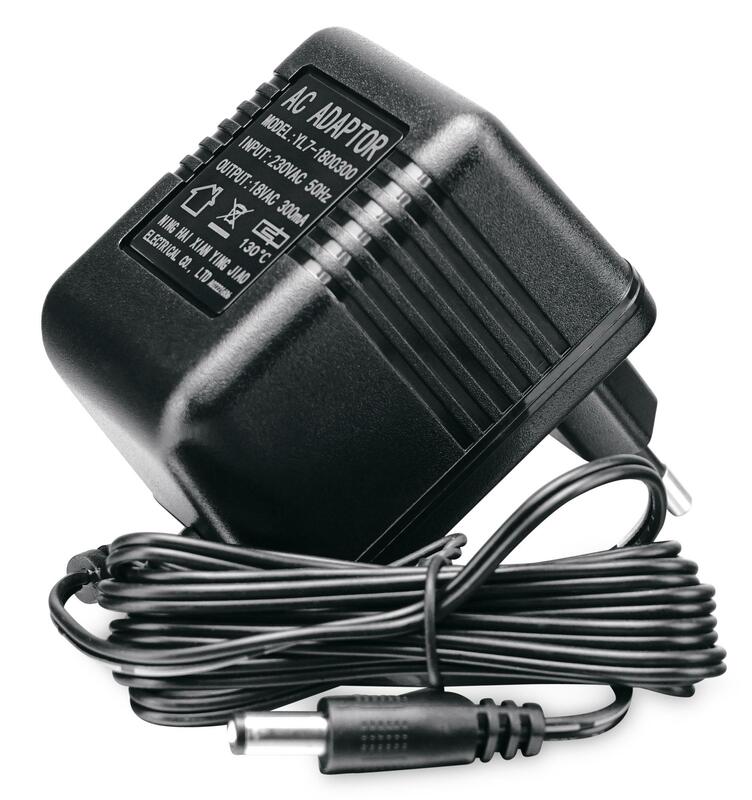 Phantom power at an affordable price! 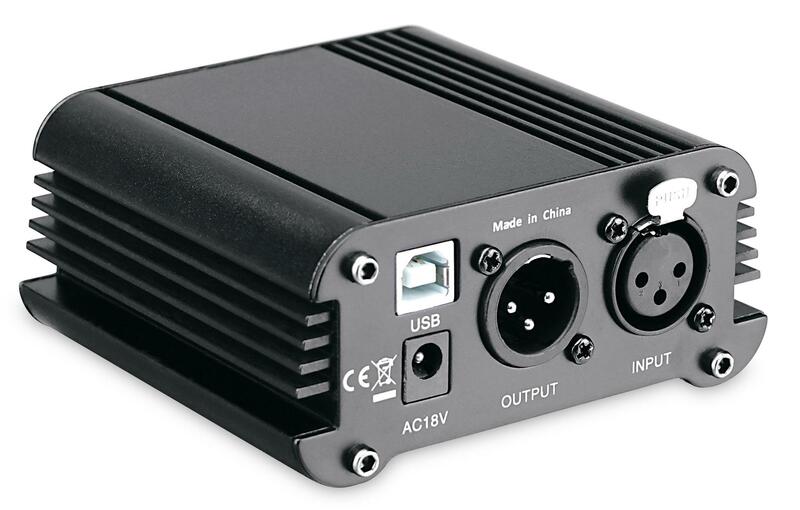 High-quality condenser microphones like the ones used in studios need a 48V basic power (the so-called phantom power supply) to function. This voltage is usually supplied to the condenser microphone from the mixer via a microphone cable. However, not all mixing consoles have this function, and direct connection to a computer is not always possible. 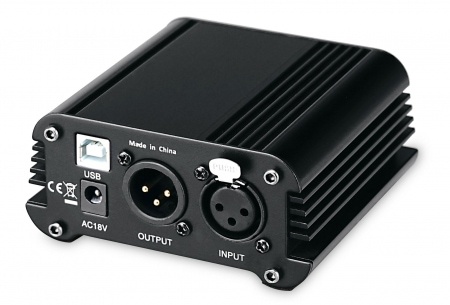 The Pronomic PP-10 Phantom Power Adapter is a simple solution. 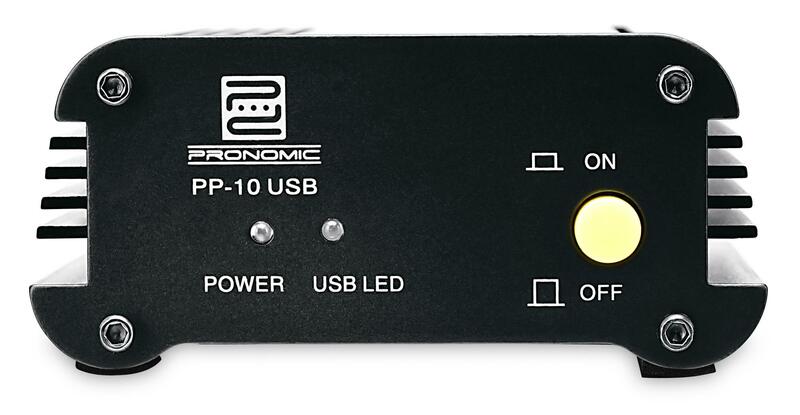 The Pronomic PP-10 helps you to save money and space while you supply power to your condenser microphone. The included power supply or the USB can be used to connect the phantom power. The USB port is ideally suited for mobile use with a laptop. 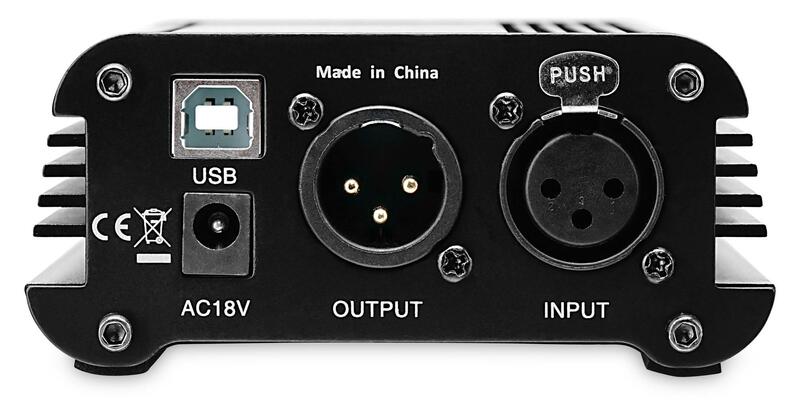 When connected directly via USB to a computer, the adapter acts as an audio interface, allowing you to connect a second microphone. 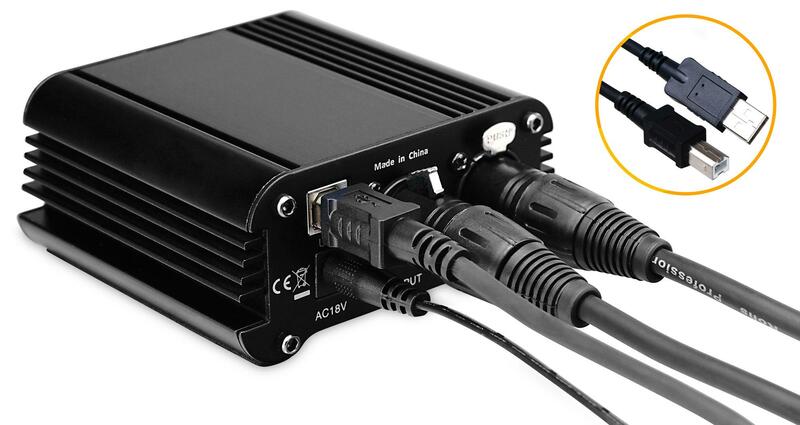 No additional drivers are required for operation as an interface and a fast 16bit A/D converter ensures fast data transmission. The following operating systems are supported: Win98, Win2000, WinXP, Windows Vista, 7/8/10 and all MAC OS. 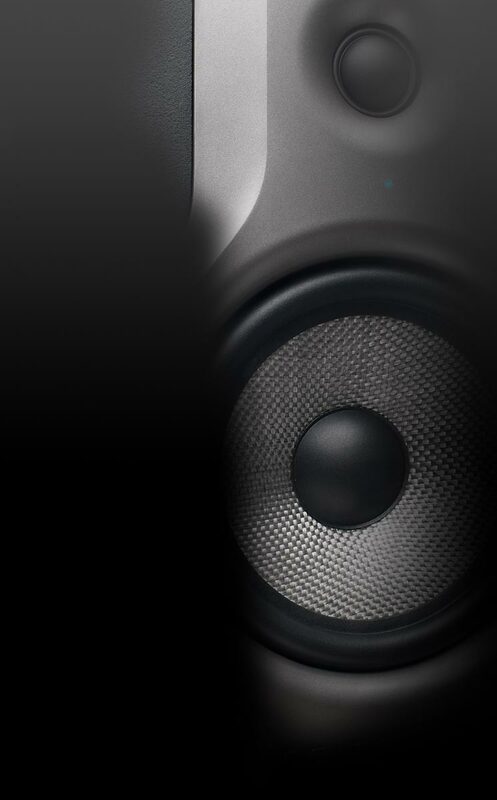 The small dimensions and the strong metal housing make the PP-10 a universal companion for all home studios, sound engineers, and podcast creators.